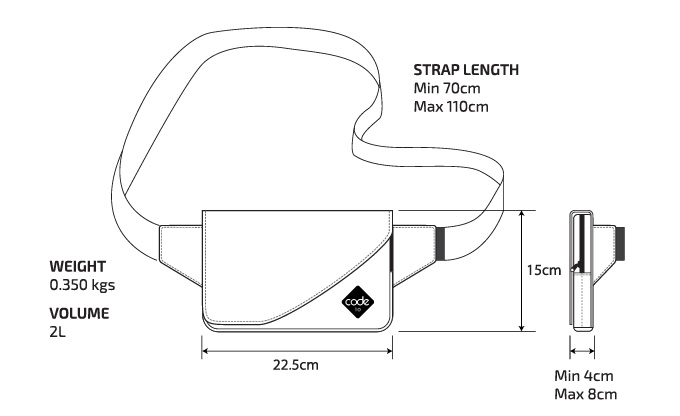 Built-in on-the-go zipper security system. Keep your valuables secure when in crowded or unsafe areas. Perfectly planned and organised for all of your EDC items. Know where all your things are, all the time – all in perfect security. 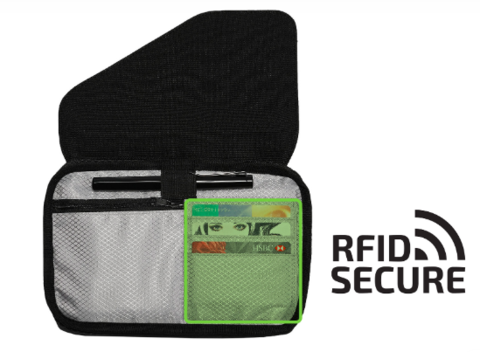 Prevent credit card theft – an RFID layer prevents data thieves from scanning your credit cards and stealing your sensititve data. 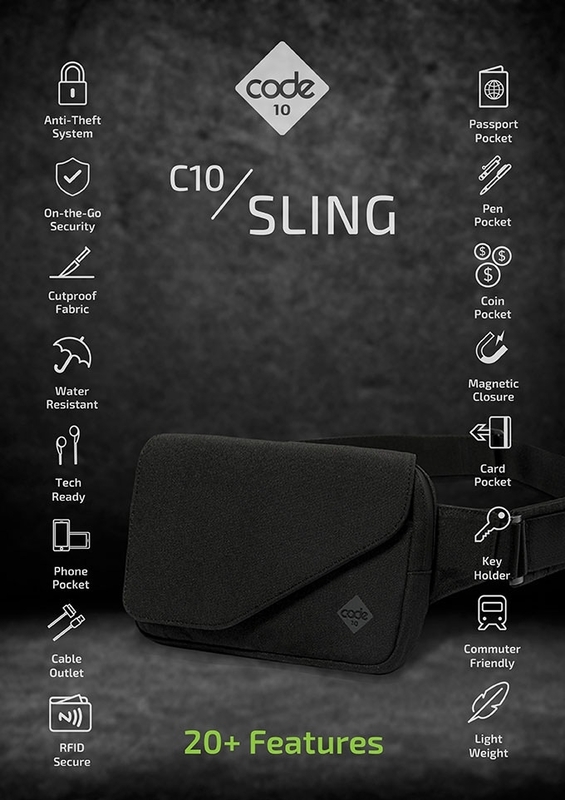 The sling is designed for keeping your tech organised and charged. Powerbank pockets, a dedicated phone pocket and a cable outlet keeps your tech ready.